Klay Thompson said in an interview that he wanted to stay with the Golden State Warriors but would hit free agency next summer. 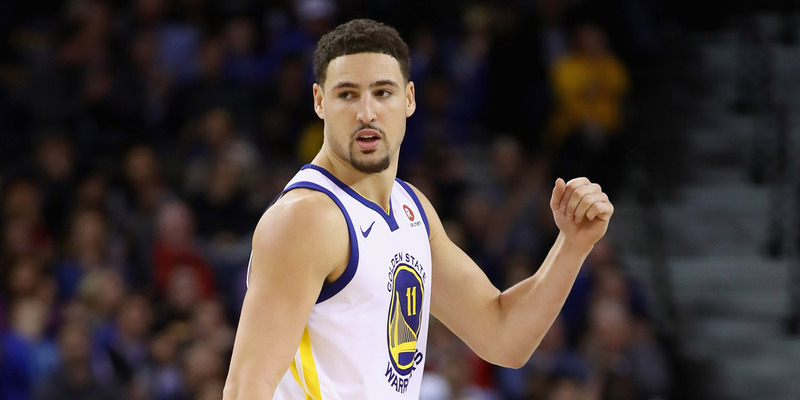 If Thompson hits free agency and turns down contract extensions, he may be looking for a significant pay raise, one that would add to the Warriors’ already-hefty payroll. As Thompson looks for a new contract, with Kevin Durant and Draymond Green soon to follow, the Warriors’ payroll could balloon to $US300 million with taxes. It will be worth seeing how much the Warriors are willing to pay to keep this juggernaut together, especially as their championship window closes down the line. The biggest hurdle for the Golden State Warriors in the coming years will be figuring out how to pay each of their stars to keep the team together. Klay Thompson is up first next summer. Thompson has reiterated that he wants to stay with the Warriors, and the Warriors would like to keep him. The Athletic’s Marcus Thompson reported in May that Thompson and the Warriors had already talked about an extension, one that could save the Warriors as much as $US50 million. But in an interview with Mark Medina of The Mercury News over the weekend, Thompson suggested that while he still wanted to stay with the Warriors, he intended to hit free agency. As Marcus Thompson reported, the Warriors had conversations with Thompson about an extension starting at $US23 million a year. That would come out to a roughly four-year, $US92 million extension. If Thompson becomes a free agent, however, another team could offer him a deal worth as much as $US139 million over four years. If Thompson were to become a free agent, there would most likely be teams willing to offer him that max deal (or somewhere close to it). That would force the Warriors to match or at least pay something close to another team’s offer. The problem is the amount of money the Warriors are already paying for their roster. Stephen Curry is locked in to a super-max deal that will pay him $US166 million over the next four years. Draymond Green is owed $US36 million over the next two seasons before his deal is up. Kevin Durant will have a $US31 million player option next summer. Andre Iguodala is owed about $US33 million over the next two seasons. The roster is set to become historically expensive, particularly because of the tax penalties. The Warriors’ general manager, Bob Myers, explained to Tim Kawakami of The Athletic how the Warriors were hesitant to use their $US5 million mid-level exception this offseason because adding $US5 million in salary to the roster was really like adding $US20 million because of taxes. They ended up using it on DeMarcus Cousins, with Myers arguing that a player of Cousins’ talent was worthwhile. If Thompson turns down extensions to hit free agency, it would suggest he wants to make more than what the Warriors are offering. Thompson is set to make $US18.9 million this season. If his next deal paid him, say, $US7 million more annually to $US26 million a year, it would add to an already hefty payroll for the Warriors, as Myers explained. As Kawakami has written, the Warriors are willing to spend almost anything, because their new arena – the Chase Center, expected to open for the 2019-2020 season – is meant to be a major source of revenue. If the Warriors keep their four All-Stars together at top dollar, it’s possible that their payroll balloons to $US300 million. The Chase Center should help cover that cost. But there is a condition to spending that money. Therein lies the big question: Will ownership pay historic prices for a team that doesn’t win a championship? That may sound ludicrous, given the dominance of this team over the past four years and the way it’s set up to once again dominate this season. But last year the Houston Rockets took the Warriors to seven games in the Western Conference Finals. The Warriors faced the very real possibility of not making the championship. Dynasties tend to end sooner than most expect, and other NBA teams have made clear that they don’t plan to sit and wait for the Warriors’ run to end. This coming summer will mark the beginning of the Warriors’ biggest test. Can they re-sign everyone to prices that work for both sides, especially as they enter what figures to be the back end of their dominance? Even if this Warriors team has another three years of championship contention in them, their payroll will only continue to climb as they re-sign all of the key players. Thompson may be an illustrative example of this coming test. The Warriors will re-sign him, but how much will it cost them, and for how long will they pay any price to keep the team together?